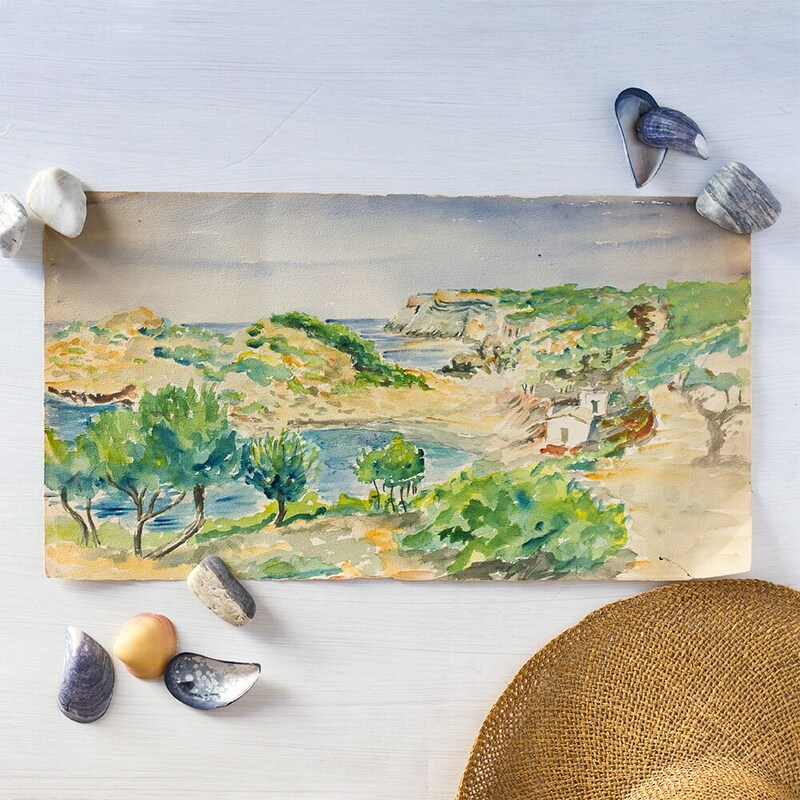 This airy French watercolor shows the coast of Ibiza, a little house perched near the beach among the trees and rocks. 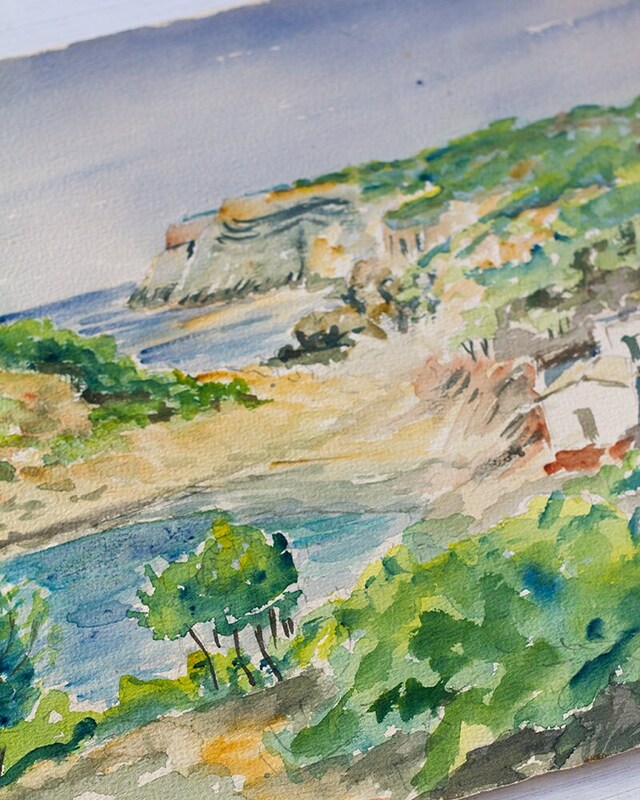 In refreshing, clear blues, greens, and ochre. 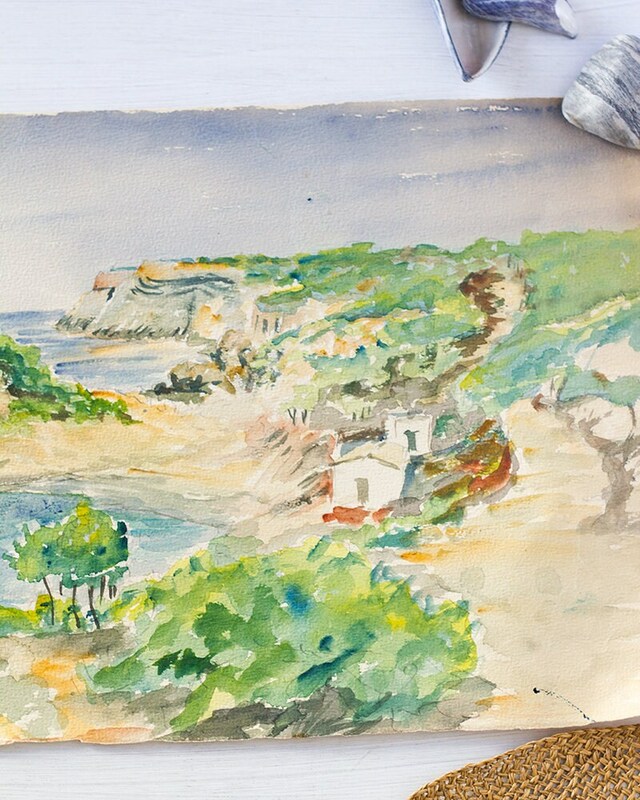 This painting on paper is unsigned but labeled 'Portinax Ibiza' on the back in pencil (see 5th photo), indicating it depicts the coast of Portinatx. These pieces wear their history like all vintage pieces which only adds to their story. 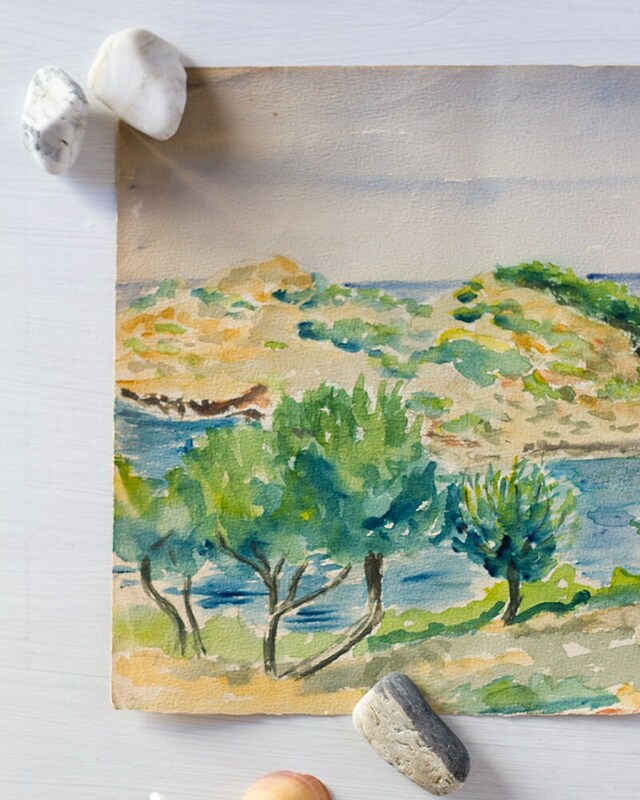 This painting is in excellent condition with no major tears, stains, or creases. 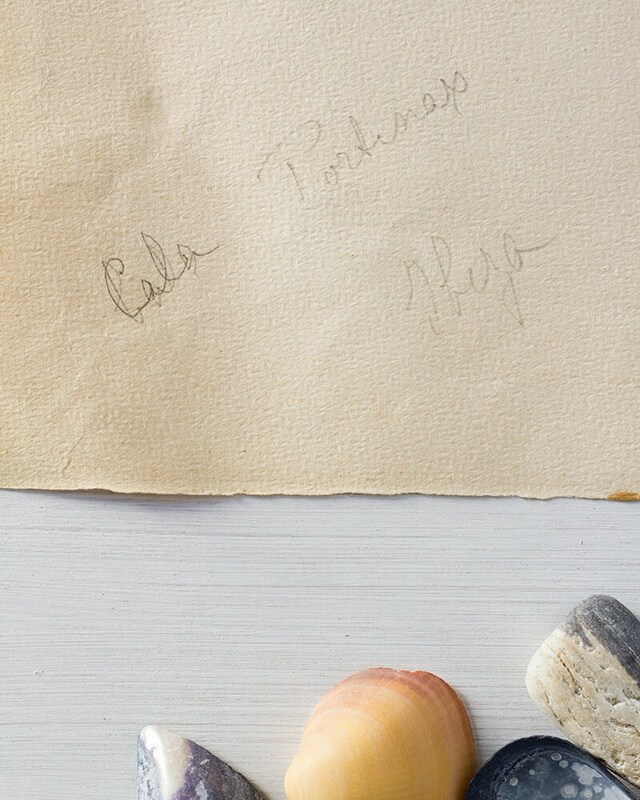 Paper has darkened with age.